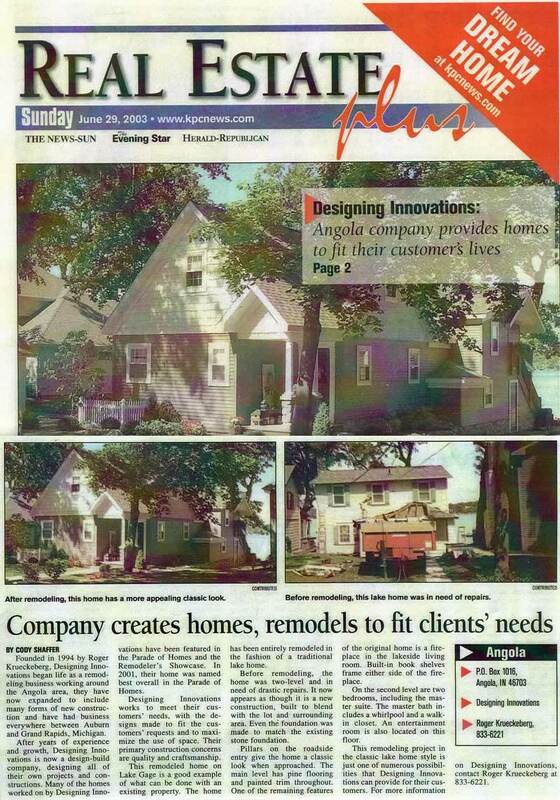 Designing Innovations is a full service Design/Build company. Our projects range from minor home repairs to major renovations, room additions, and new homes. Regardless of size, Designing Innovations will help you from the initial meeting to the final completion of your project. 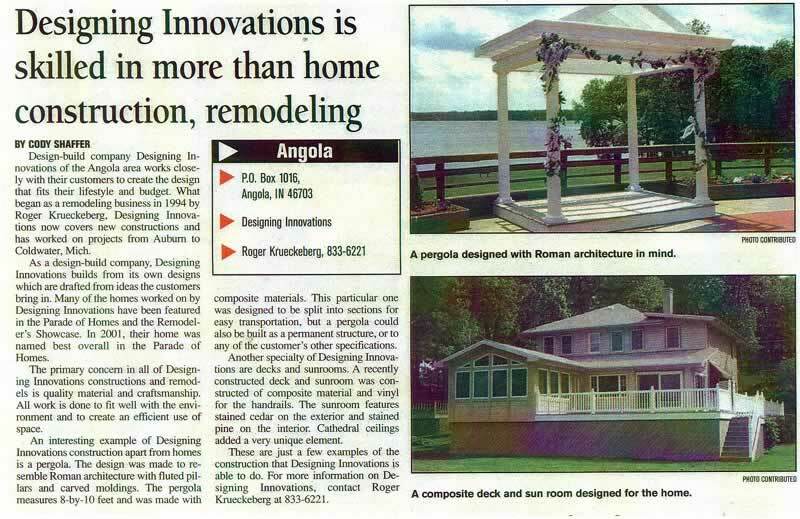 Designing Innovations has a renowned reputation for great service and quality craftsmanship. Below is a list of some of the many services we offer.